Every year, each of the Major Championships take place on some of the premier courses of the world. From the seaside links of Pebble Beach and the Open Championship rota, to the traditional country clubs of Brookline and Winged Foot, and the public courses of Bethpage and Torrey Pines. However, The Masters is different. It is unique among all Majors. It is played at the same course year-in-year-out and has been since 1934. 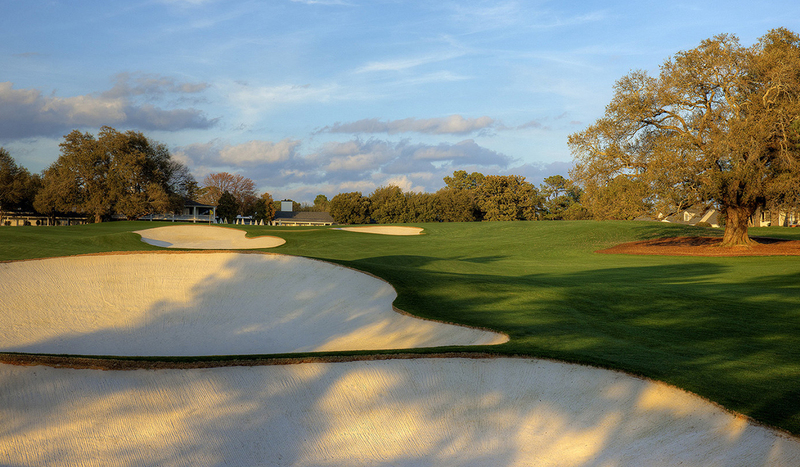 It is for this reason that each of its holes are instantly recognizable, the world over for golf fans. 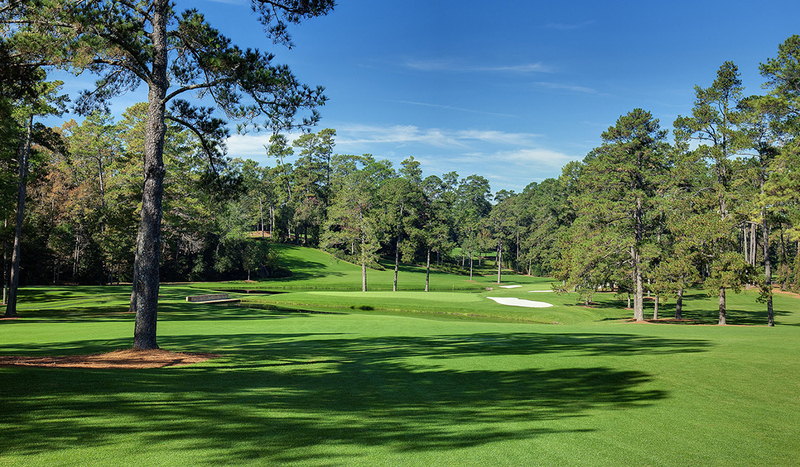 Augusta National Golf Club is the only permanent host of a major championship in men’s golf, and over the 82 previous editions of this great tournament it has created memories to last a lifetime. These are memories which have inspired generations of golfers across the world. Augusta National is the golfer’s Field of Dreams. Envisioned by Bobby Jones, administered by Clifford Roberts and designed by Dr Alister McKenzie this idyllic property in Augusta, Georgia opened in 1933. 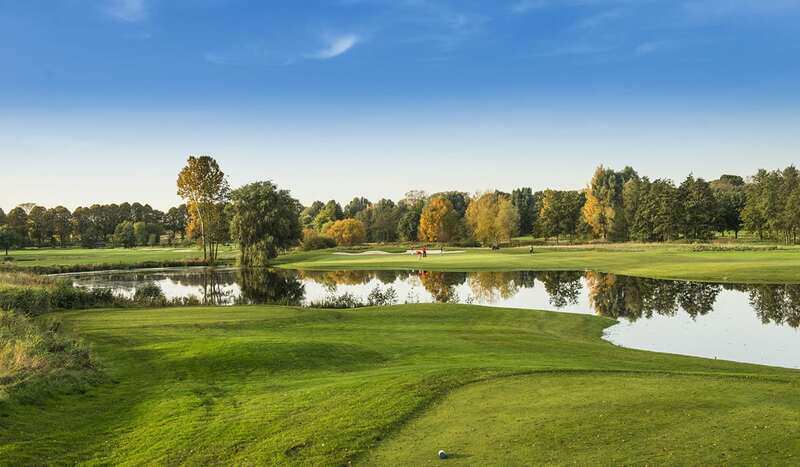 The course originally played in reverse to the modern configuration, with the 10th hole acting as the 1st and the 9th hole acting as the 18th. The decision to switch the nines in 1935 was perhaps the most spectacular success story in golf, creating the drama of the second nine on Sunday, and making the 11th, 12th and 13th holes crucial to the outcome of the tournament. That quote stuck in the minds of everyone who read it, including players and officials at Augusta National and has since become synonymous with this stretch of holes. 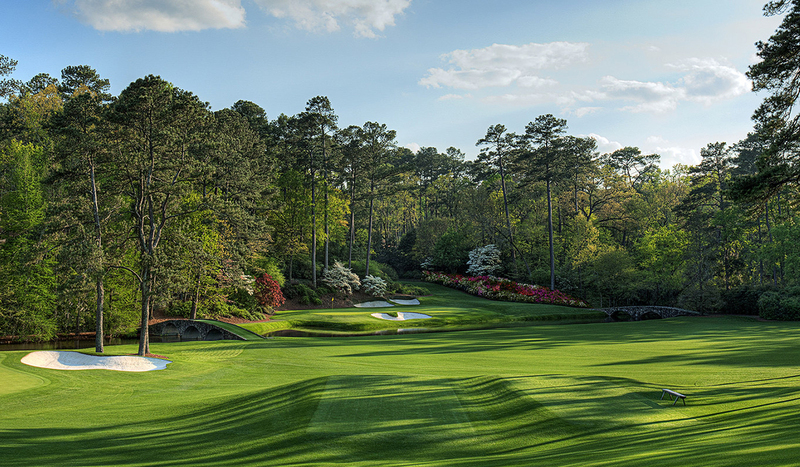 Indeed, Amen Corner is registered as a trademark of Augusta National Golf Club. 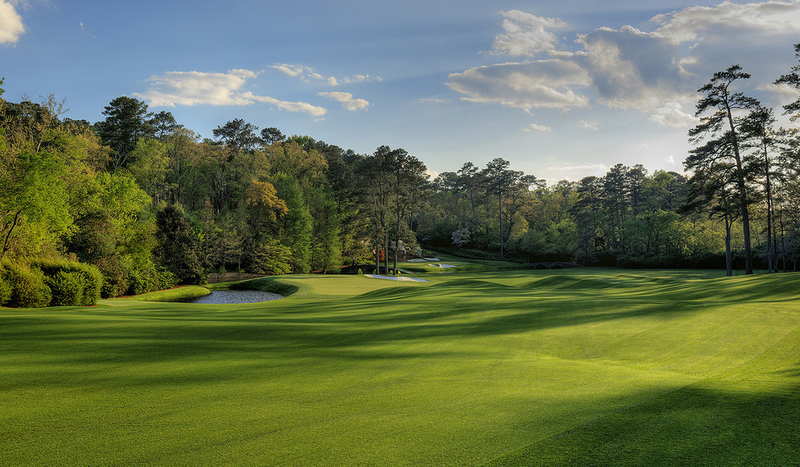 Each year the tournament runs Amen Corner Live, an online stream made available to broadcasters around the world, and on masters.com, dedicated to covering the action from all four days at the 11th, 12th and 13th. Larry Mize’s chip-in at 11 to defeat Greg Norman on the second playoff hole in 1987, Fred Couples lucky break in 1992 and Jordan Spieth’s collapse in 2016 on the 12th, Seve’s eagle in 1986 and Mickelson’s shot from the pine straw in 2010 on the 13th are just some of the iconic moments on these holes which have inspired millions over the last 35 years. Then there is the 15th and 16th holes, superb holes which have provided numerous dramatic moments over the years. From Gene Sarazen’s albatross “shot heard around the world” in 1935, Nicklaus’ eagle in 1986, Seve’s implosion in the same year, Sergio Garcia’s eagle in 2017 and his 13 in 2018 are just a few of the incredible moments we have seen on the par-five 15th. The roars from both the 15th and 16th momentarily force players to back off their shots on either hole, such is their proximity to one another. Jack Nicklaus’ stunning birdies in 1975 and 1986 were pivotal moments on the way to victory, and perhaps the most dramatic moment in the history of The Masters occurred in 2005 when Tiger Woods chipped in during his battle with Chris DiMarco. Then, finally there is the 18th. The iconic, uphill par four which brings you back to the clubhouse. Palmer, Lyle, O’Meara, Mickelson and Schwartzel all birdied to win on this hole which is so symptomatic of the dramatic elevation changes of this magnificent course. Augusta National is consistently ranked among the world’s top courses, currently ranked Number 4 in the World by All Square Golf. 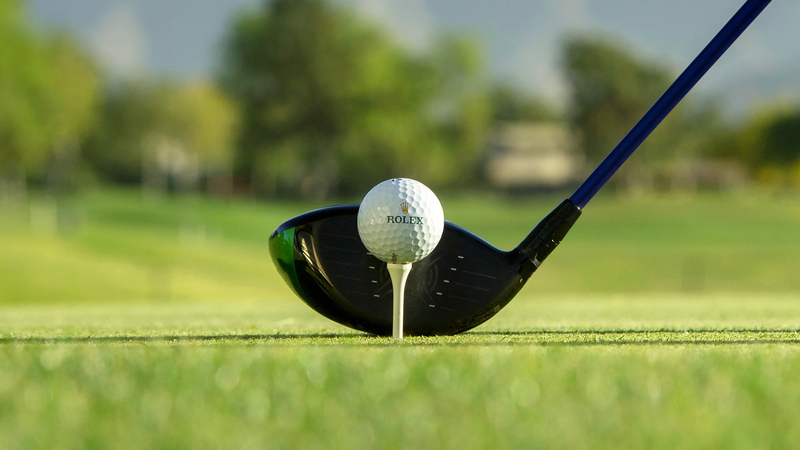 All Square is your place to explore 33,000 golf courses around the world, connect with thousands of like-minded golfers, share your golf experiences and book your next golf trip. Visit www.allsquaregolf.com or download our mobile app on the App Store and on Google Play. Contact us at info@allsquaregolf.com to book your next golf trip.